Do I live too close to the railroad?! I thought a mile would be enough to protect me from these "expresses"! WINDS...northwest through north winds of 15 to 30 mph with gusts of 40 to 45 mph. TIMING...Saturday 12 PM CST to 3 AM CST Sunday morning. A strong cold front will push into the Mid-South Saturday afternoon and abruptly drop temperatures below freezing across much of the area by sundown. Do I live too close to the railroad? . . . . Well there is a very simple test really. Can you inhale that delightful scent of steam! If not then clearly you aren't close enough!! Re: Do I live too close to the railroad?! Only time there is any steam on the NS is when they hit another 4-wheeler that stops on the tracks and the radiator leaks! Apparently, many folks have never even seen a train... until it's too late, anyway. Dear X-Air and WeatherCat railfans, . . . . The Norfolk and Western 1218 was one of the triumphs of American steam locomotive design. 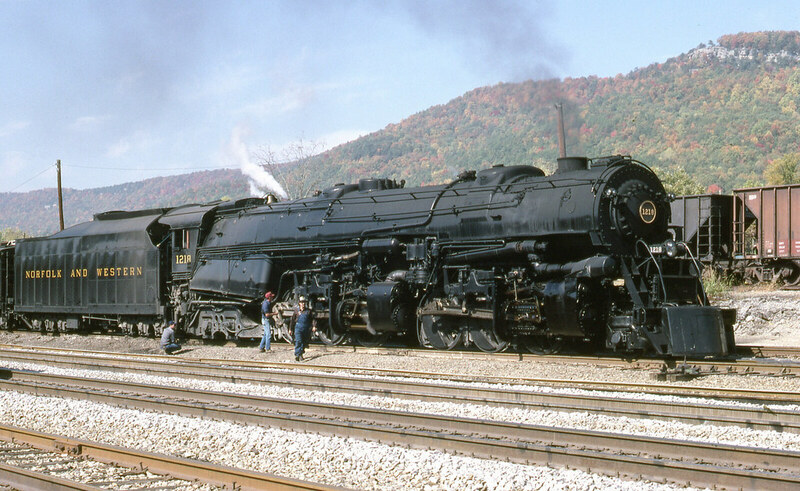 Now that Union Pacific is actively restoring one of their Big Boy locomotives, perhaps Virginia Museum of Transportation will get the itch to restore the 1218 so it too can be a fully operational steam locomotive. Photo from Wikipedia. Challengers have 2 groups of 6-coupled driving wheels. 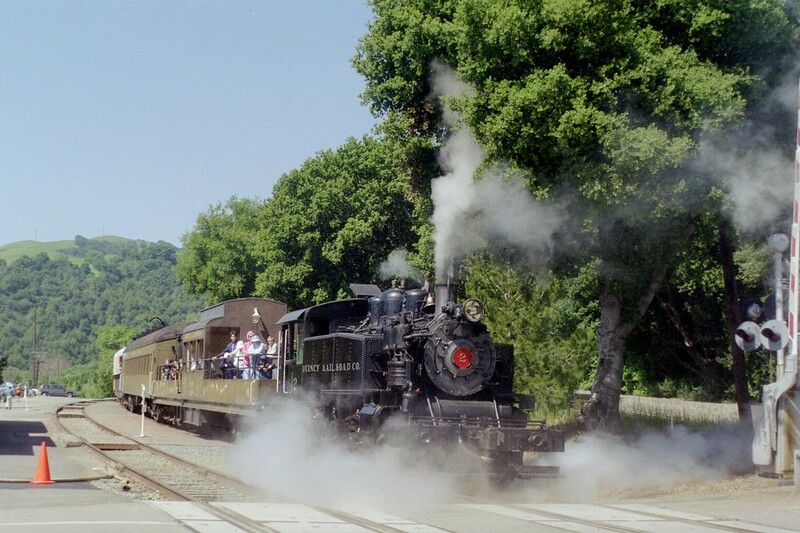 Big Boys are larger and have 2 groups of 8-coupled driving wheels. Union Pacific 3985 was in excursion train service during the late 1980s. The last run of any Big Boy locomotive was on July 21, 1959. Eight Big Boys were preserved but all as static displays. That changed when Union Pacific decided to restore the 4014 to steam operation to 150 anniversary of the ceremony joining the Union and Central Pacific railroads creating the first transcontinental railroad. That 150 anniversary is coming up this May 10! We shall see if Union Pacific can get the 4014 running before then! You think I'm going to disagree with that?!?!! Can never get enough of dat' steam!! . .